Abraham cooper (1787-1868) was an established animal and battle painter. He became well known for his paintings of horses, military scenes, figures, and animals. Abraham cooper was born in Greenwich London in month of September 1787. His father was in business of tobacco but due to less trend of Cigar smoking at that time his business dropped off soon. Then he worked as innkeeper in Holloway which resulted in misfortune of their finances. It lead young Cooper of mere age 13 to be embarked on the world and create his own resources. During his school days Abraham embellished his copy books with the sketches of horses, dogs and other figures using water colors. He had to leave his school to seek his own fortune but that didn’t drew him away from his fondness of sketching. In his initial days he employed himself at Astley’s Theatre for mimicking battles that was run by his uncle Davis. Thereafter, at age of 22 he served as a groom to Sir Henry Meux, a brewer, who also owned a horse named “Frolic”. During their journey, Frolic became so close to Abraham that he determined to possess his portrait. Then in his free time he bought a painting manual, few oil colors, learned to use them and painted the picture on a canvas that was hung against the wall. He succeeded in making portrait of Frolic and later showed it to his master. Sir Henry was quite surprised at his early age attempt .He not only purchased the canvas but also encouraged him to put more efforts in the portraits. The portrait drew attention of his uncle Davis who further introduced him to renowned animal painter Ben Marshall. The Master Ben was so impressed with the proficiency and ability of his new student that he gave him instructions for free. Mr. Cooper studied under Ben with greater persistence and in 1810 he gave up all other things for sake of Art. Ben in accordance with this favored him by introducing him to a ‘Sporting magazine’, an illustrated periodical of that time. With this, he secured his reputation as animal painter and earned himself the designation of “Horse” cooper. He was a one of the popular artist for equine portraiture and anatomy, and had some obsolete acquaintances. Initially only animals were the subjects of portraits for him, later he widened his hands on researched battle painting mainly on civil war, acknowledging him as dominant battle painter. He mostly worked on oil painting, occasionally used watercolors and normally signed in monogram. Cooper became member of Artist’s Fund in 1812, followed by chairman position. 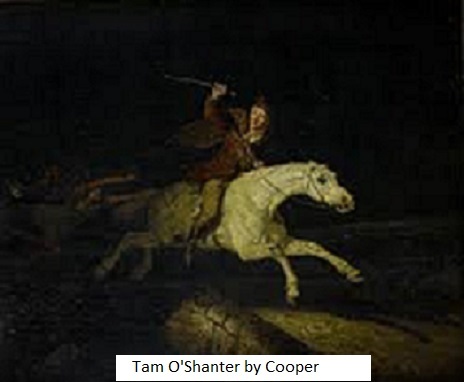 The First picture by Cooper “Tam O’Shanter”, engraved by J.Rogers, Purchased by Duke of Marlborough was exhibited at British Institute in 1814. 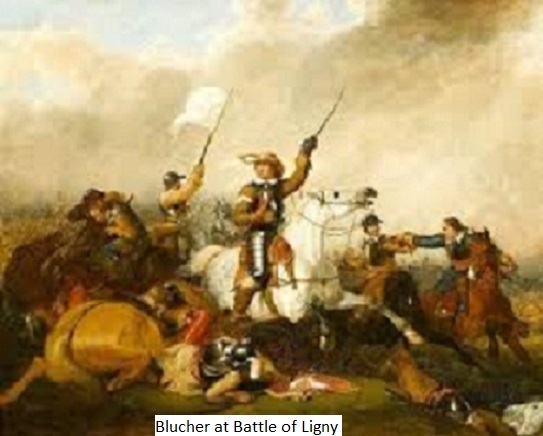 He received reward of 150 guineas from the directors of the institution for his painting “Blucher at the Battle Ligny” which was sent to same gallery in 1816. After this his encouragement towards battle scene portraits took jump for the rest of his life. 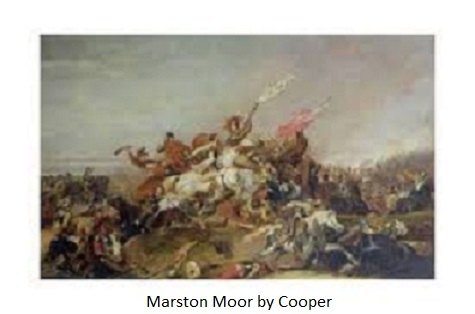 Cooper was elected as an Academician in 1820 for his picture “Marston Moor”. Cooper exhibited his paintings 74 times at British Institute and 332 times at Royal academy and one in Suffolk Street, grossing to 407 of his finest art. For many years in British School he was considered equivalent to the position held by Peter Hess in Germany and Horace Vernet had that in France. Cooper had many students working under him out of which J F Herring and William Barraud showed the repercussion of their mentor in all their work. He married Mrs. Francis D’Ebro and had two children’s. One of his children, Alexander followed his footprints and became a painter of figures, landscapes and historical subjects. J C Wood summarizes Cooper as, “He must be admitted to first rank of animal painters of his age” in his dictionary of British animal painters. On the Christmas Eve of 1868, he took his last breath at his residence at Woodbine Cottage Greenwich and was buried in Highgate Cemetery. His mortuary tribute published in ‘The Sporting Life’ states that he was: “…a guileless, pleasant gentleman and a thorough sportsman who rode well to hounds, was a good shot and a clever fly fisherman”. His paintings are considered to be one of the finest art ever and are still at auction in various British Museums at very remunerative prices.